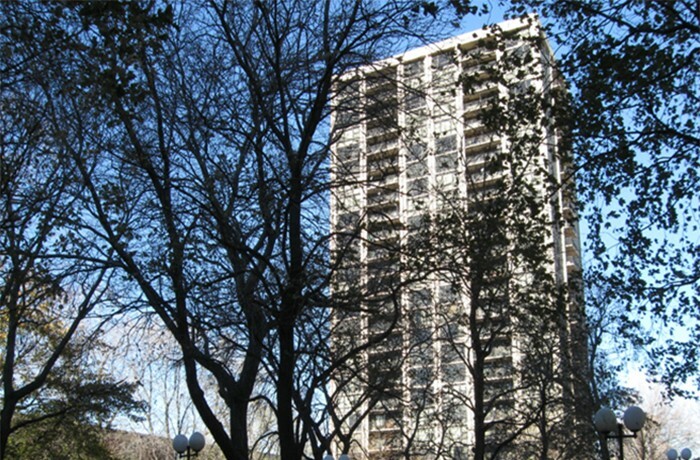 Cambridge Manor is a twenty-one story residential apartment building constructed of cast-in-place concrete, built in 1973. It is a large urban redevelopment project on the near south side of Chicago and was developed as housing for the Medical District and IIT. HPZS is currently working on this project, continuing work started in 2009 for the on-going exterior restoration. A hands-on survey of the exterior was performed and a report on the findings was prepared for the owners and the City of Chicago. HPZS prepared the subsequent design for the restoration of the exterior, as well as all supporting construction documentation.